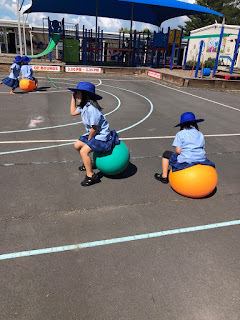 On Wednesday afternoon we had some fun with Mrs Harding out in the sun. 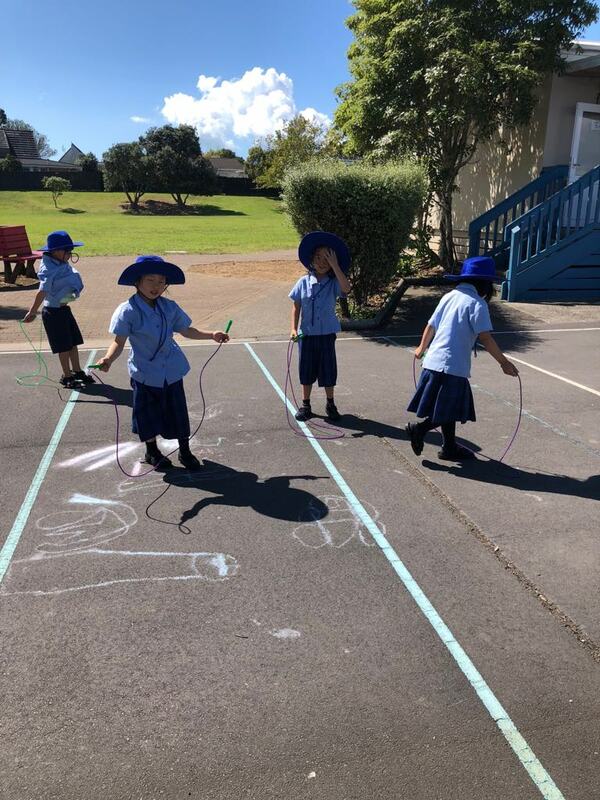 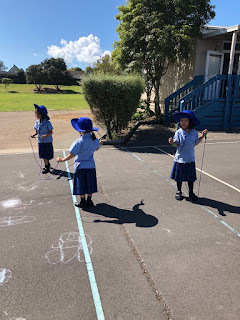 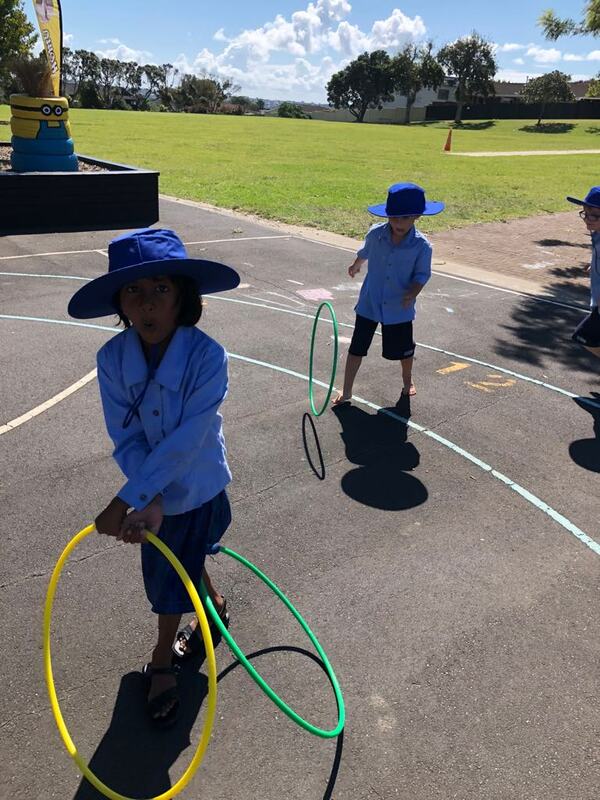 We had some hula hoops, moon hoppers, skipping ropes and balls. 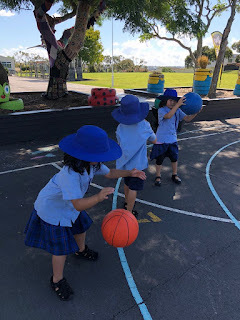 We also got to play on the junior playground. 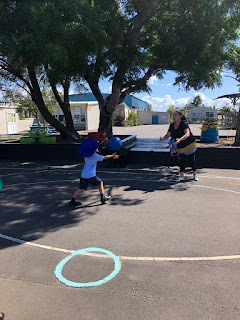 Thanks Mrs Harding for doing great sports activities with us! 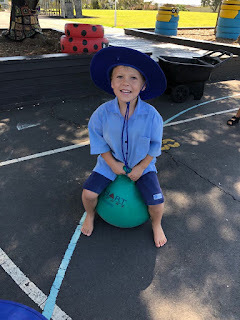 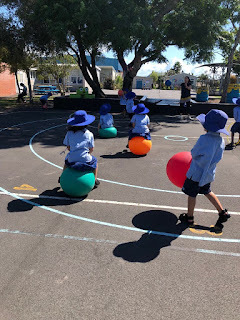 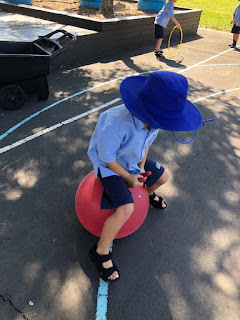 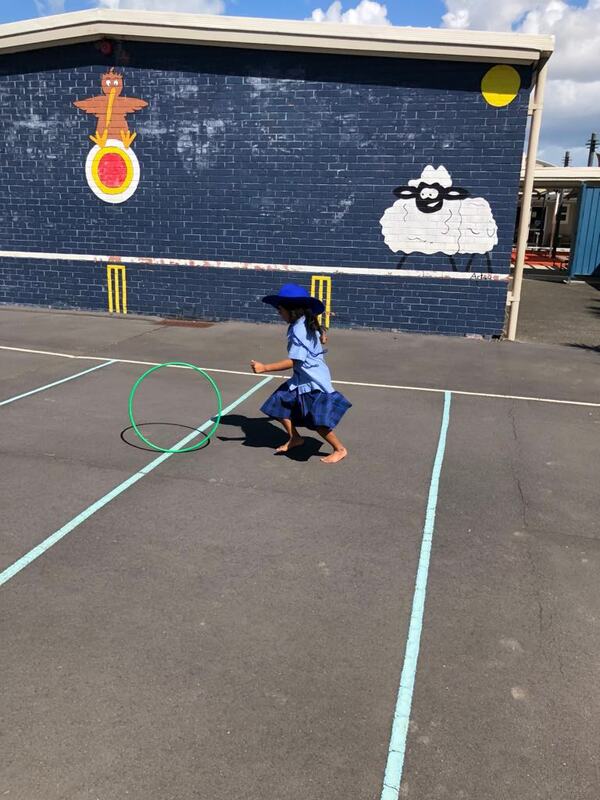 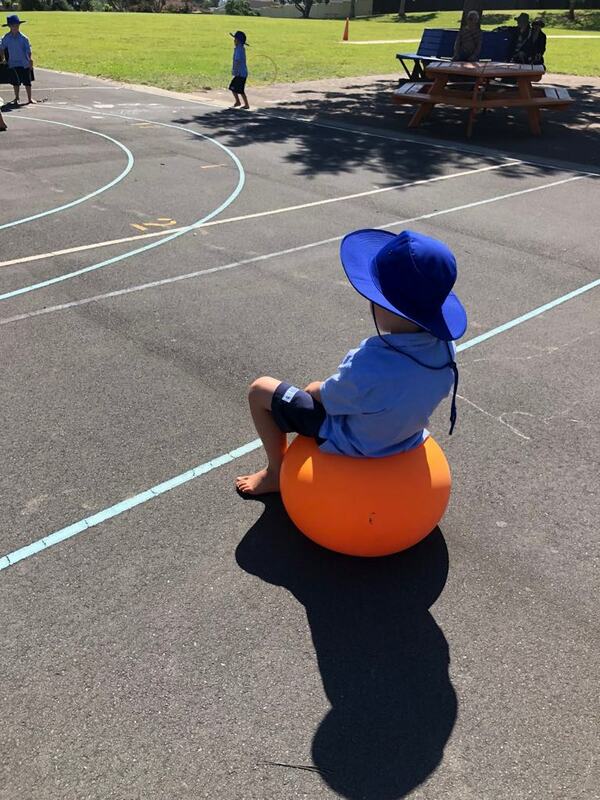 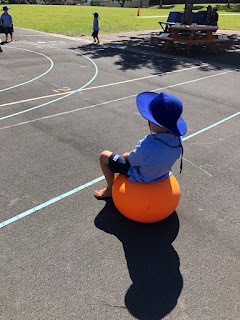 Well Room 9 sport must have been fun with Mrs Harding, It looks you are enjoying your time in the sun, what was your favourite part of sport with Mrs Harding? 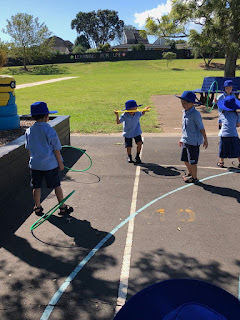 Fun in the sun on a beautiful afternoon. 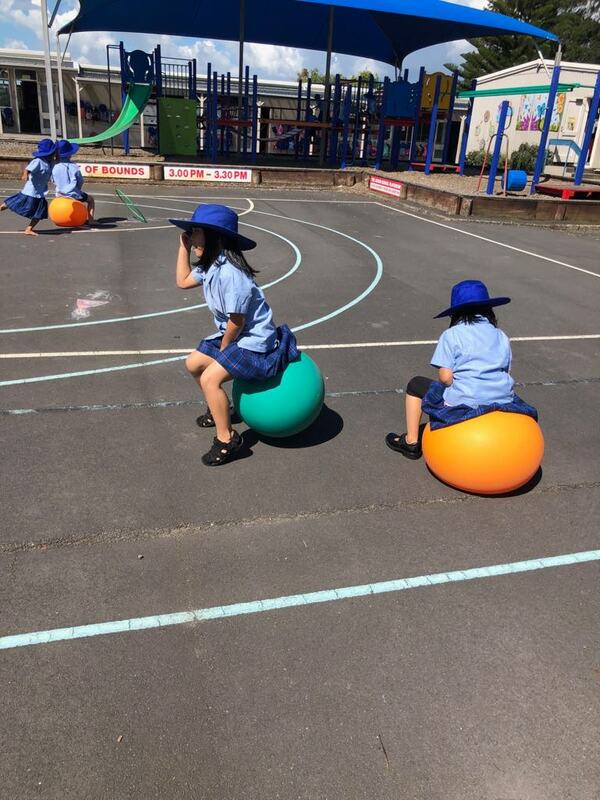 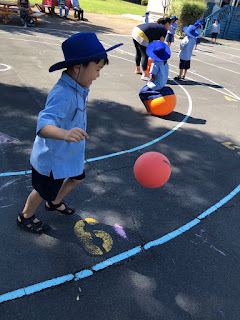 It looks like you are enjoying your fitness with the moon hoppers, hoops and balls! 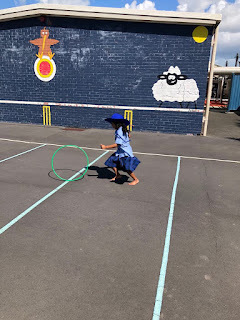 What body skills are you working and learning about by doing these exercises?